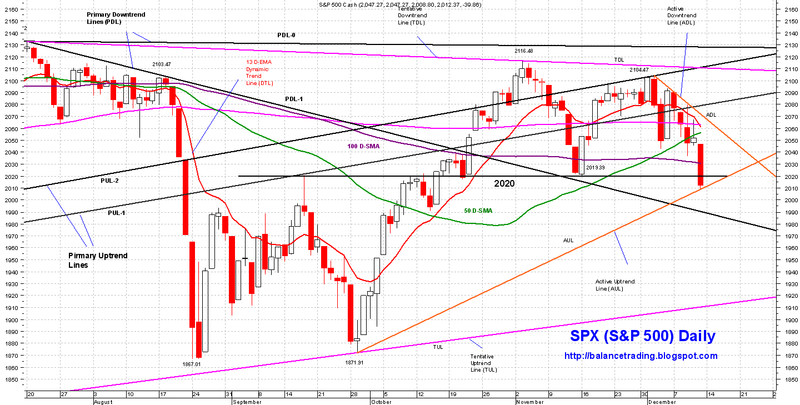 SPX traded as lows as 2008.80 on Friday and closed (weekly) below the significant support at 2020. The penetration through 2020 support was less than 1% (0.55%) which signals a high likelihood of a back test of that support soon, possibly on Monday. Also, as we enter into the most bullish trading period of the year, chances are good that SPX rallies on the back of short covering and dip buying to test its ADL around 2060 later in the week. 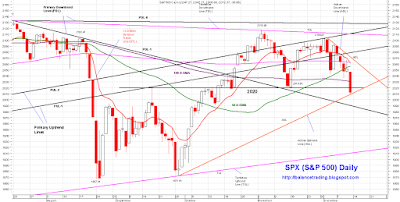 For SPX, weekly immediate support zone is at 2000 - 1975 and weekly immediate resistance zone is at 2020 - 2060. My plan is to open first of four short positions in SPX and IWM as SPX back test 2020, very likely on Monday.